We’ve had an amazing week of training at the gym and on the beach. Today we’ll back off the lower body and intensity a bit and focus on upper body strength. Note: Use 75% of your 1RM shoulder press. Rest approximately two minutes between efforts. Who can hold 15 or more on the Tabata Pushups? The CrossFit Amundson Firebreather Award. Who’s next? 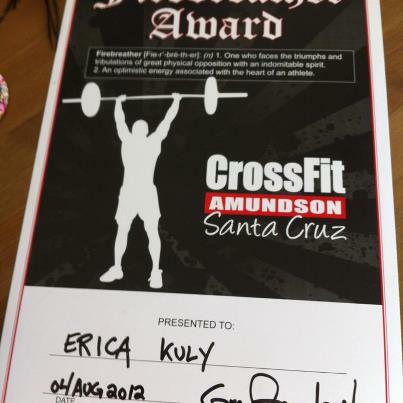 This weekend at CrossFit Amundson we are hosting the CrossFit Kettlebell Trainer Course. There will be no open gym.